Meteor showers are unpredictable. I would be a sorry advocate for all things space if on that basis I failed to mention their possibilities. Recent Eta Aquarids eluded detection in my corner of the world – uncooperative cloud cover having no use for the whims of star gazers. Undaunted, a recent announcement by NASA has my pondering heart aflutter. Mark May 24 on your calendar as a possible meteor circus – particularly for those is the northern hemisphere. 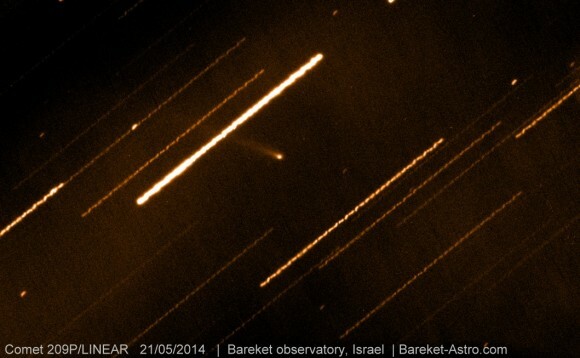 On that day our orbit will pass a heap of cosmic junk left behind by 209P/LINEAR, a new comet heralding a never before witnessed meteor shower. Giddy predictions peg the show at upwards of 200 meteors an hour with the giddiest of scientific minds calling for a meteor storm. 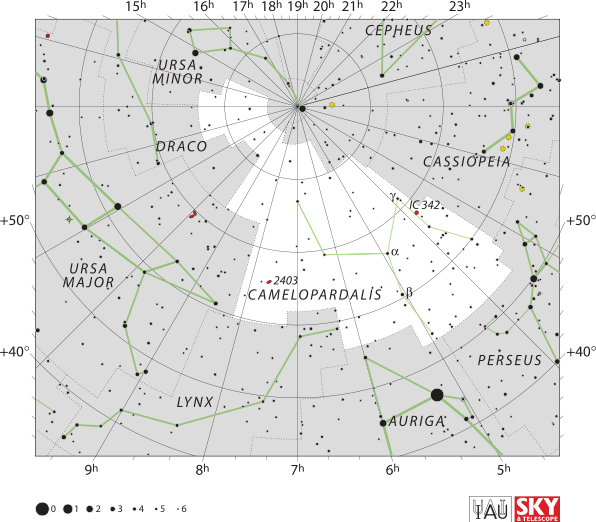 Dubbed the May Camelopardalids for a radiant point in the distant constellation Camelopardalis, one contributing factor to a possible bonanza is the fact all cosmic tailing expelled between 1803 and 1924 will light up our skies on May 23 and early on the 24th. Cautious science favors a “wet blanket” estimate of around 200 meteors an hour, claiming 209P/LINEAR has a weak dust trail. Even this party pooper prediction rivals the Persiads for one heck of a show. To reach “meteor storm” status a lofty 1000 per hour would have to pepper night skies. Just knowing that at the very least upwards of 200, most likely in the range of 400 meteors an hour plan to dance through the upper atmosphere – makes me swoon in anticipation.